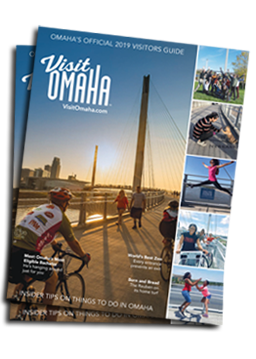 The Greater Omaha Convention and Visitors Bureau invites all attendees of the Buy the Big O! Show on October 11, at the Qwest Center Omaha, to stop by our booth for a chance to play the Know the O! Game Show. Local radio and television personality Rob Baker has been selected to host this fun-filled and educational event. The Know the O! challenge will be held once every hour until the end of the day. Contestants will be selected from the audience and their knowledge put to the test for a 20-minute contest to see who knows the most about Omaha. Omaha has a rich history and questions were designed to delight, inform and even stump audience members. Winners from each show will receive a free overnight stay at one of Omaha’s fine hotels, plus free admission for two to an area attraction. There’s also a grand prize drawing (open to everyone) which includes two tickets to country superstar Keith Urban, plus one night’s stay at the luxurious Downtown Hilton Omaha Hotel. In addition, you’ll have a chance to shake hands with some real Hometown Heroes and listen to their stories. These extraordinary Omaha residents have made a real contribution to our city by helping bring in meetings and conventions that have a huge economic impact on our local economy. There’s never been a better time to test your knowledge of Omaha. Come on down and play the Know the O! Game Show at the Buy the Big O! Show, October 11, at the Qwest Center Omaha.